eBook PDF, ePub, and Kindle, etc. 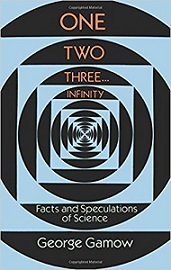 This book is one of the most memorable popular books on physics, mathematics, and science generally ever written, famous for having, directly or indirectly, launched the academic and/or scientific careers of many young people whose first real encounter with the wonders and mysteries of mathematics and science was through reading this book as a teenager. Untypically for popular science books, this one is enhanced by the author's own delightful sketches. George Gamow was a Russian-American theoretical physicist and cosmologist.